Metal Solutions Ltd are the UK's leading fabricator of all traditional metal roofing systems, cladding systems & components. Based on over 35 years knowledge in the manufacture & installation of fully supported metal roofing & cladding, Metal Solutions Ltd are ideally placed to offer a complete service to the industry. - Distributors of GreenCoat PLX Pro BT Coated Steel, Roofinox Stainless steel, Uginox Stainless Steel, Aurubis Nordic Copper, Falzinc, ZM Silesia Zinc, Zintek Zinc, Prefa Prefalz Pre-coated Aluminium, Falzonal Pre-coated aluminium & Traditional Textures Pre-coated Aluminium. - Suppliers of copper, brass, bronze, zinc, stainless steel, aluminium, precoated aluminium, coated steel & associated products. - Standing seam, Snaplock® seam & roll cap roofing systems. - Interlocking / reveal panel, honeycomb, overlapping, shiplap, flatlock & shingle cladding systems. - Decoiling, slitting, filming, cut-to-length, recoiling & reverse coiling for all metals up to 1000mm wide & 1.2mm thickness. - Rainwater systems, guttering, downpipes & accessories. - General / bespoke fabrication in all metals. - Training in all traditional metal roofing & cladding systems. 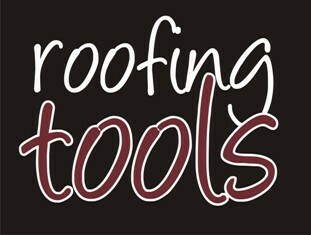 - Supply & hire of metal roofing tools & machinery. - Machinery repairs & servicing. Experience the original sheet metal roofing & cladding product from Sweden - GreenCoat PLX Pro BT! We are pleased to announce that we are the UK Distributors of SSAB GreenCoat PLX Pro BT Coated Steel - the unique colour coated steel product from SSAB Swedish Steel. More than 50 years ago, GreenCoat PLX Pro BT was developed together with Swedish metal roofers. Today, it is the premium product for high quality roofing & cladding that withstands harsh climates. The material is used for standing seam roof or wall cladding. Experience the unique metal roofing product from Sweden and order your samples today! The cost effective Snaplock® Seam solution - click on image to download brochure. The ultimate range of 'lookalike' precoated aluminium - click on image for further information.